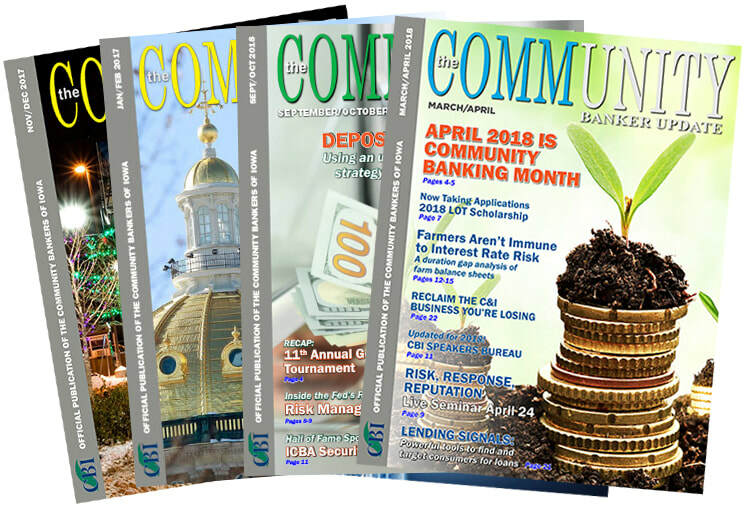 Community Banker Update is a bi-monthly digital magazine for Community Bankers of Iowa's members. The magazine provides news on the association and Iowa's community banking industry. 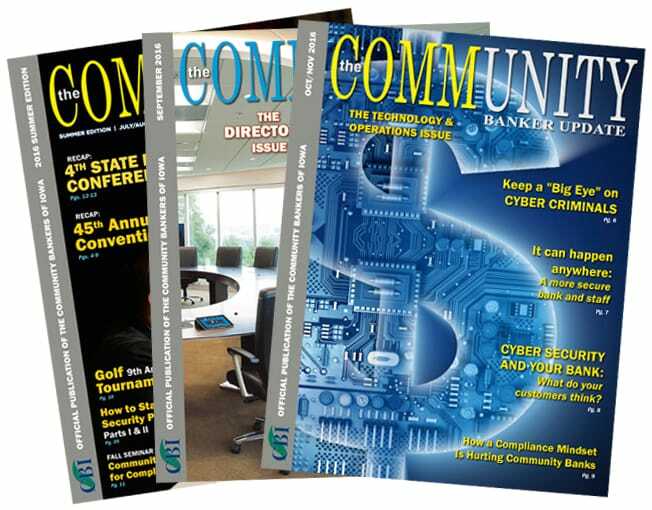 The Community Banker Update magazine is published exclusively for CBI members. If you are a member and you'd like to start receiving Community Banker Update, click the button below. We're always looking for great content! If you have articles, news or announcements that are timely and relevant to the community banking industry and CBI's members, send it for consideration to be included in Community Banker Update. The deadline to submit materials is the 20th of the month, to be published in the next edition. Refer to our Media Guide for further details and guidelines.